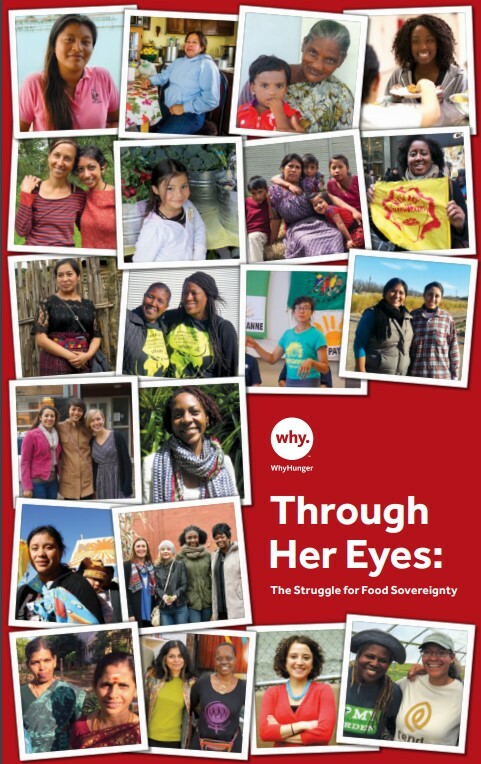 Just in time for International Women’s Day, WhyHunger released its newest publication “Through Her Eyes: The Struggle for Food Sovereignty.” We know that women are responsible for 60-80% of food production in the Global South and represent 50% of food chain workers in the U.S. Yet, women and girls are disproportionally affected by hunger. This publication honors and amplifies the voices of women around the world who are fighting for food sovereignty and creating just, sustainable communities that benefit all. In Through Her Eyes, women from Florida to New Jersey and Puerto Rico to Mozambique share their opinions, stories and experiences on topics including agrochemicals, fishing practices, food stamps, GMOs, farmworkers and more.